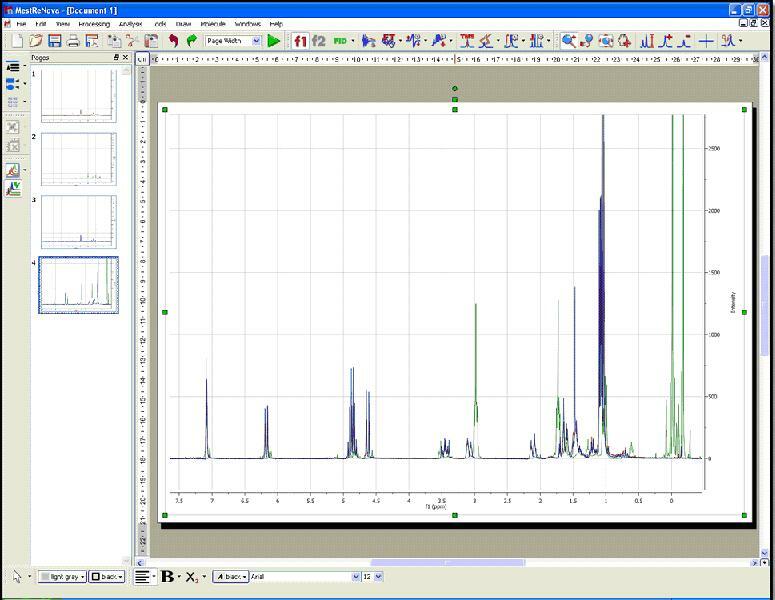 It is very easy to superimpose spectra with Mnova. 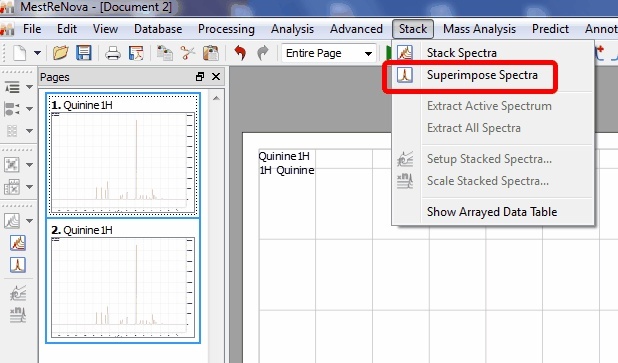 Just select the desired spectra on the page navigator (by holding down ‘CTRL key’ while clicking on each spectrum) and then issue the command ‘Stack/Superimpose spectra’. 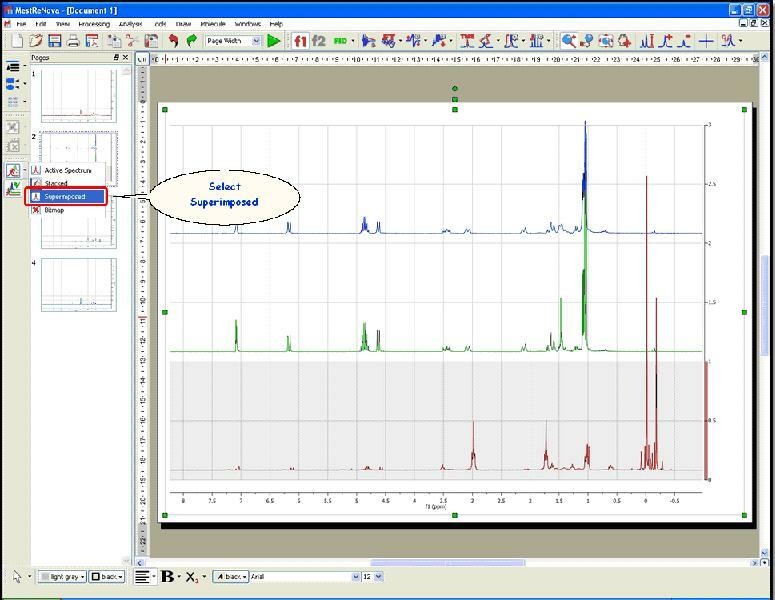 If you have several spectra on the same page (to obtain it, just paste the desired spectra to one page, by using CTRL+C, to copy, and CTRL+V, to paste), you can also superimpose them by following the menu Edit/Alignment/Align Left (or by using other alternatives in the vertical-left toolbar) after having selected all of them (by CTRL+A, or Edit/Select All).